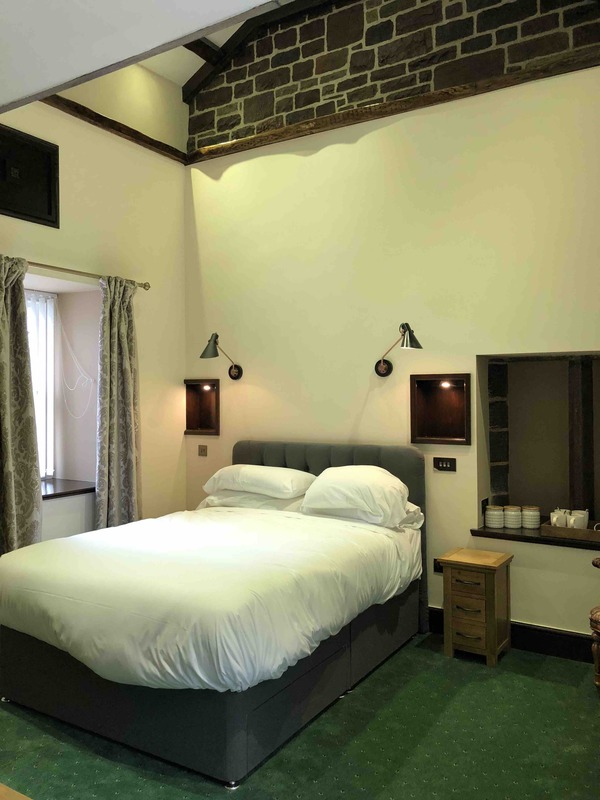 Family en-suite room with two single beds upstairs on a bespoke mezzanine level and on the ground floor a double bed with plenty of space around. Nice large double shower unit. Ideal for parents with young children. This room can sleep 4 - two in the double bedroom, two in the twin room upstairs. This room is on the ground floor, close to the Conservatory. 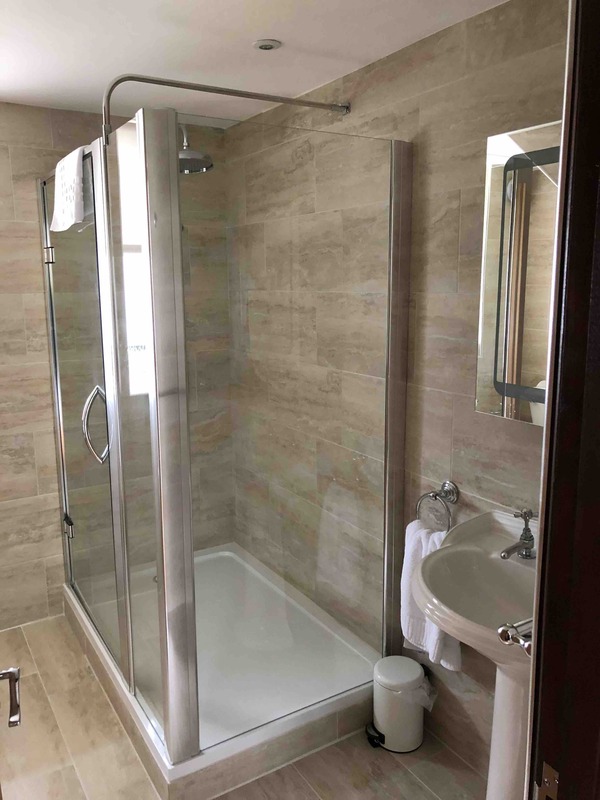 The shower en-suite is to a pleasingly high standard, with large shower. The windows of the room face on to the Nurses Block outside the castle, with easy access to the doggie 'comfort area' for dog owners. However as this is a new room, it will not be our first choice for dog owners - Sorry all dog lovers! We need to keep some rooms for non-dog owners. The room is quiet at night as the walls are about two feet thick.